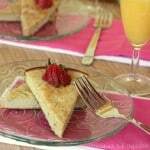 An old-world breakfast recipe perfect for a special weekend breakfast for your family! 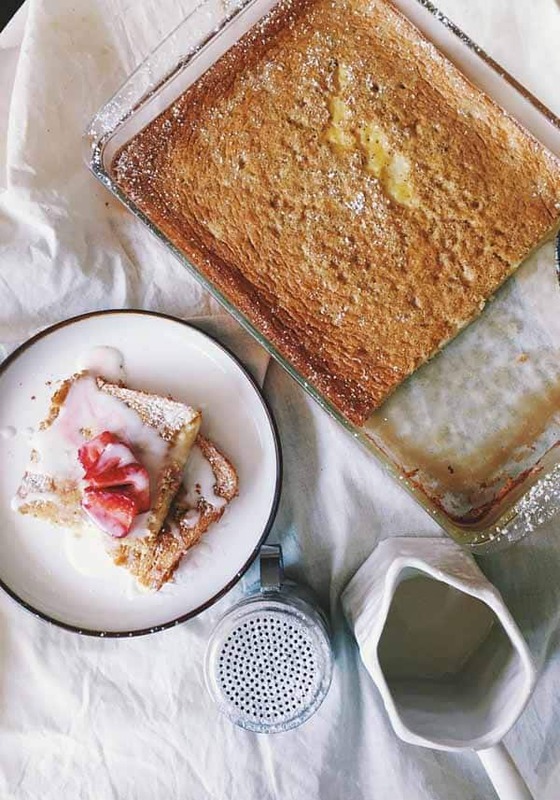 Brooke from Gluten Free Anonymous recreated an old-fashioned breakfast recipe so that she can enjoy an old family favorite. 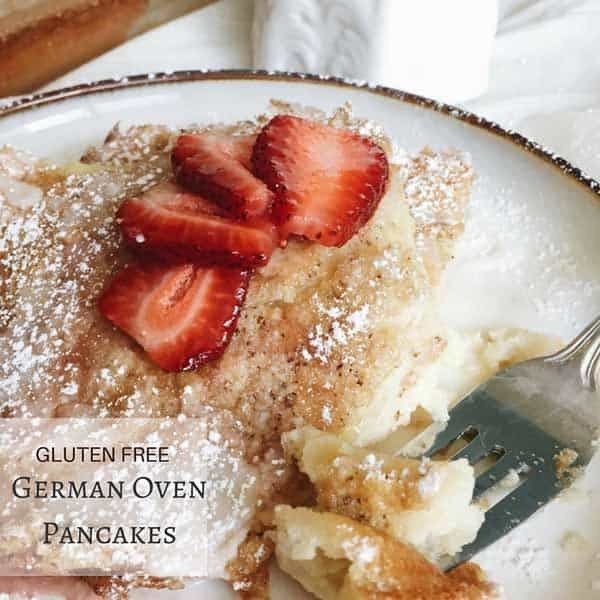 For a special weekend breakfast, the family will love these Gluten Free German Oven Pancakes. Hello everyone! 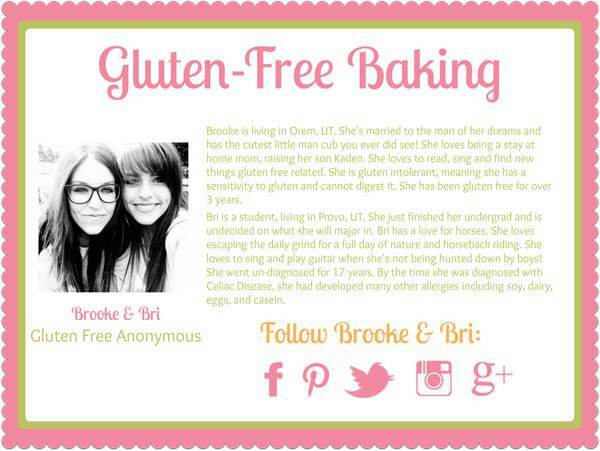 This is Brooke from Gluten Free Anonymous. I hope everyone is surviving the first few weeks of school. While we don’t have kids in school, my husband is in his third week of a new semester at the University he’s attending. We are in full swing and I’m always trying to make sure he eats a good breakfast before leaving for his classes. 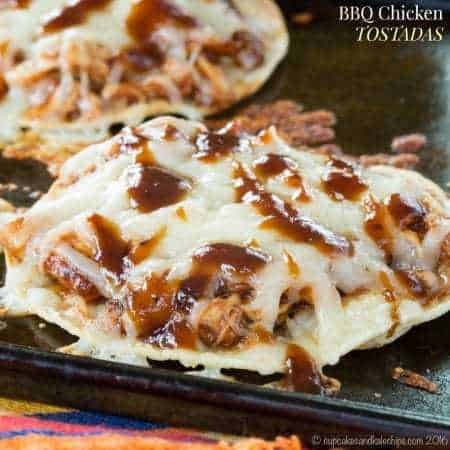 As I was brainstorming some ideas, one recipe came to mind. It reminded me of my childhood when my mom was hurrying to get all six of us kids out the door to school. Making a quick and easy breakfast that we would all enjoy was her specialty! 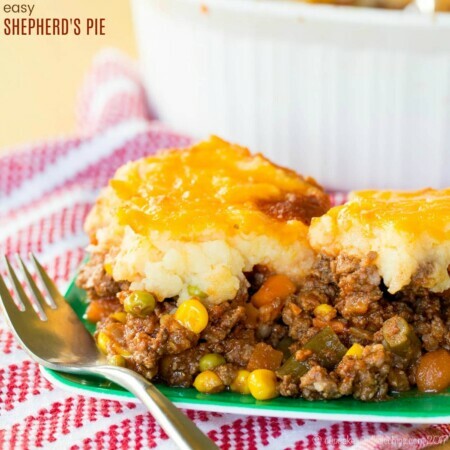 Something that takes minutes to prepare with a little time in the oven is the perfect breakfast recipe for any mom. Back then, my sister and I were not on a restricted gluten free diet. We weren’t diagnosed with gluten intolerance/celiac disease until 2011. On each anniversary of our diagnoses we try to celebrate accomplishing yet another year of being gluten free. Since then, we have been working hard to convert all our mom’s old recipes to tasting just as good as when they were made with gluten. 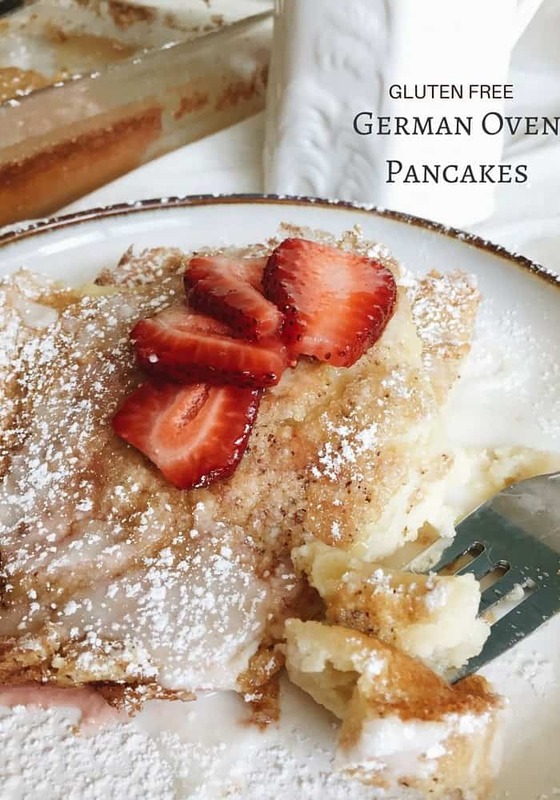 German Oven Pancakes have always been one of my favorites. 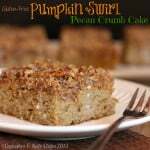 We have tried this recipe with several different gluten free all purpose flours and found that Pamela’s is our favorite for this recipe. 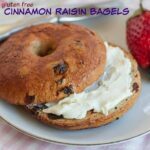 We use different all purpose gluten free flours for different recipes depending on how they perform, but Pamela’s seems to add to this particular recipe and make it even better! 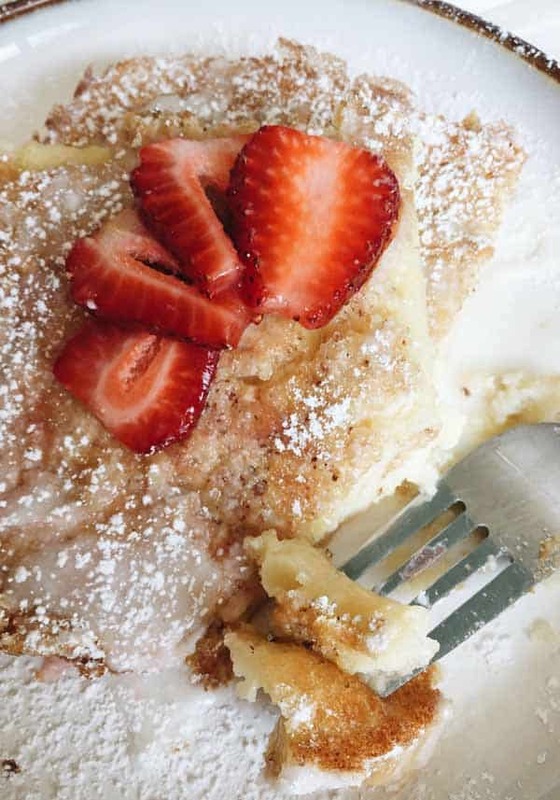 It is also a great recipe for getting creative with your own toppings such as: strawberries and whip cream, 100% pure maple syrup, sprinkled powdered sugar, warm sweetened peaches, warmed apples and cinnamon, etc. 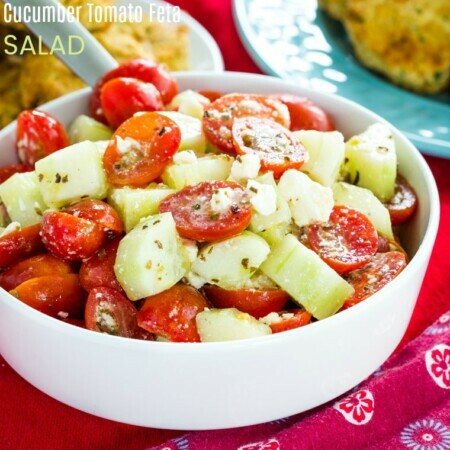 Whatever your family loves can be added as toppings with this recipe! 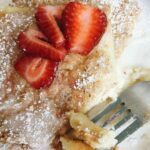 I hope you all find these pancakes as fabulous as we have and come on over to visit us at Gluten Free Anonymous! Depending on which gluten free flour you use, it will either puff up or stay low in the pan. Pamela's stays pretty true to the batter is poured. Others will puff up and then die down. 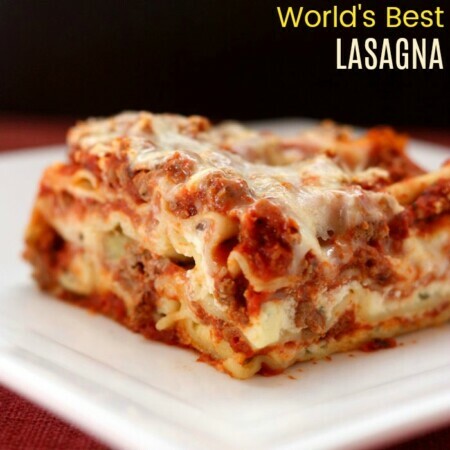 I am so excited to try Brooke & Bri’s recipe too!